I stood there staring at this guy, trying hard not to telegraph my misgivings about taking him for a test drive in a new Corvette. The truth is, he looked more like 95, but still had that sparkle in his eye, reminding me that some things about our 20s we never leave behind. Nevertheless, I knew if we wrecked that 430-horsepower car, the deductible would come out of my pay. If he punched the pedal and popped the clutch we would burn through the rear tires faster than I could even open my pay envelope (which…again…would be empty after paying for new tires). I tried to bolster my confidence by reminding myself that over the years I had taught a lot of pilots to fly jets, and could surely stay ahead of the situation in a ground vehicle with a guy who now looked more like he was 125 years old (every professional pilot should begin his career as a flight instructor because that’s where you learn how to keep people from killing you!). I said, “Great! Let’s go put some pavement in the rearview mirror!” We talked about the car for a few minutes, did a walk-around, located and explained the function of critical systems and operating procedures, and strapped in. He was a surprisingly fit fellow, and had no difficulty with the degree of yoga one must master to get in and out of the Corvette with the ease of a NASCAR driver. If you have ever sat in a Corvette you know that it fits like a glove once the seat is adjusted and the mirrors properly angled. But it sits low and has a drag-reduction profile that allows the car to slice through the air like an eagle. It was amusing to watch his face as he gently pressed and released the start button. The car automatically brought itself to life, and the 6.2 Liter motor growled like the king of beasts. At first, he was a little afraid of the clutch, because he did not want to make everyone standing around think he was a novice to muscle cars. He slowly (and I mean S-L-O-W-L-Y) let out the clutch and the car crept ahead. It was instant gratification; suddenly, he morphed into a pro. Clutching and shifting from first to second was as smooth and well-timed as if an Earnhardt were at the controls. If fact, I began to think he had been fooling me into thinking he had never driven a Corvette. We only got to fourth gear when we came to the first traffic light, and then he got a little confused about how to get back to first gear, so I knew that he really was still on the front side of the learning curve. Actually, in his defense, the shifter IS pretty short-throw. He was trying to move it a little too far to find the gears. 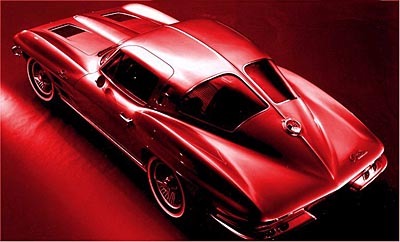 Most folks have no idea that the Corvette spawned many great systems and design concepts used on many other cars to this day…even foreign cars (or as they say down South here…” ’em FURN cars”). For instance, the split-cockpit design of the new Chevrolet Cruze first appeared in the 1963 split-window coupe Corvette. Here’s another one. I get tickled when I see the TV commercial of one of “ ’em furn car” makers whose name they try to tell us is synonymous with “runs forever” where they show a magnet holding black fluid off the floor. When they release the magnetization the fluid falls to the floor, and the narrator tells us that this innovative idea is the principle behind real-time shock damping…as though THEY had invented the concept. Nope. WRONG! Fakers! FURN FIBBERS! That system first came out in the early ‘90s on…you guessed it…the CORVETTE!!! Ever stand and look at a 1953 Chevrolet sedan? If you’re not sure what one looks like, google it and study the design for a moment. Beautiful isn’t it? Two years later, the ’55 hit the market with a bold new aerodynamic design. And then came the beloved ’57, where momma learned to bake apple pie at the levy. It is amazing how the design changed from ’53 to ’57. But wait, go back to ’53, but this time google “CORVETTE”. 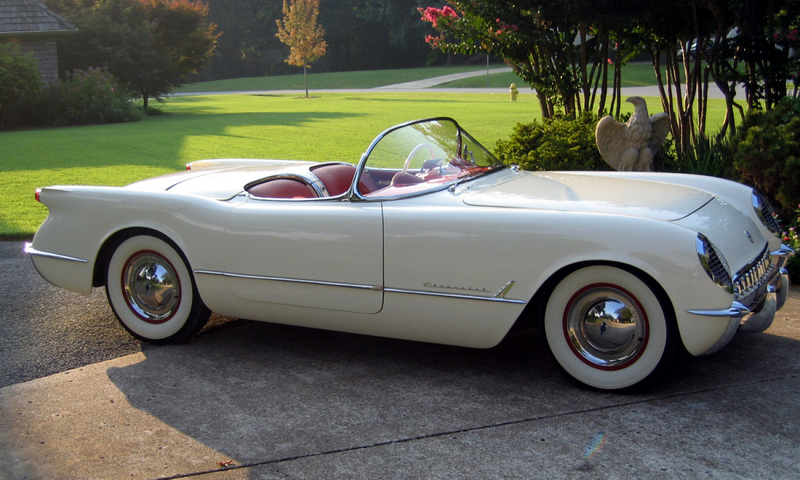 Yep, the Corvette first came out in 1953! Chevrolet was that far ahead of the game, Corvette was leading the way, and an American legend was born. In fact, a whole string of legends was born at Chevrolet. Stick THAT in yer furn pipe and smoke it. As a kid in the early ‘60s, I tried never to miss an episode of “Route 66” with Martin Milner and George Maharis. Da-dadaya-da-da…Da-dadaya-da-da…Da-dadaya-da-da”: The Nelson Riddle theme song still runs through my mind every time I see a Vette (the TV producers asked Riddle to write the memorable TV theme because they didn’t want to pay royalties for the 1946 Bobby Troupe composition “Get Your Kicks On Route 66” made famous by Nat King Cole and others). That TV show permanently imbedded both the highway and the car…both Route 66 and the Corvette…in American national consciousness. Now I know I talk a lot about aviation and flying and jets. And I realize many people have never even been on an airplane, let alone take the controls. 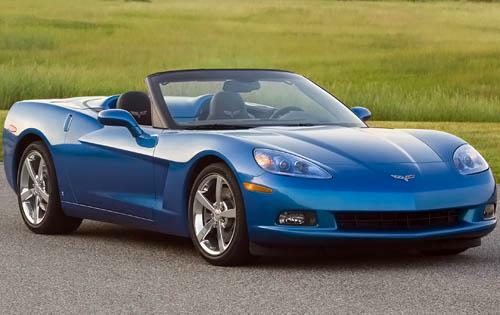 If you are among those who always wanted to fly a jet…GO DRIVE A VETTE! The only thing you’ll be missing is altitude. No body scanners, no TSA security pat-downs, no over-bookings. YOU are calling the shots, and you will feel like you are at the controls of the greatest fighter of them all. You’ll feel like the sky’s the limit, and the stars are in reach, and there really is a pot of gold at the end of the rainbow.